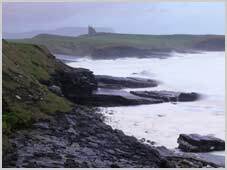 County Sligo is situated in the north west of Ireland at the Atlantic coast. 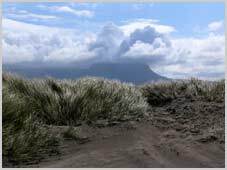 Sligo has a magnificent variety of mountain scenery, beautiful lakes, waterfalls, woods and a breathtaking coastline with endless beaches and cliffs. 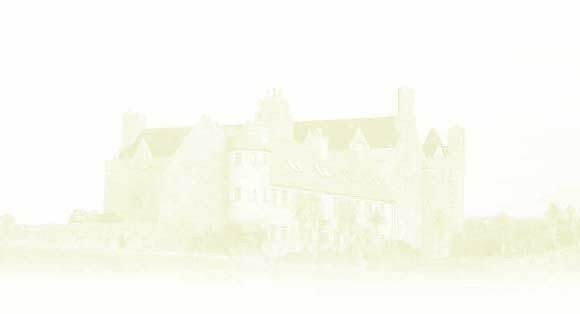 County Sligo is known as Yeats Country as the scenery inspired many of the great works of W.B. Yeates, the Nobel Prize winning Irish writer. And of reddest stolen cherries…"
W. B. Yeats was born in Dublin but his parents were from Sligo and he spent a goodly proportion of his childhood there. In the west of the county the Ox mountains form a background to the coastal plain, while north of Sligo town the landscape is dominated by steep-sided and flat-topped limestone hills like Ben Bulben. Another beauty spot in the county is Lough Arrow, with its inlets and encircling hills. 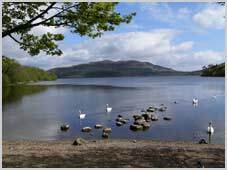 Near Sligo town, in beautiful Lough Gill, can be seen the like isle of Innisfree immortalised in the Yeats' poem. And live alone in the bee-loud glade…. 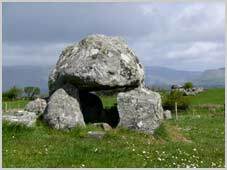 from " The Lake Isle of Innisfree "
There is one of the greatest concentrations of megalithic tombs in all of Europe in Sligo. Carrowmore is one of oldest Stone-Age burial sites in Europe with some hundred tombs, passage graves, dolmens and stone circles. On the summit of Knocknarea Mountain is a huge flat-topped cairn called Maeve's Cairn. Queen Maeve was the Iron Age Queen of Connaught. 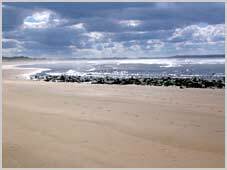 Sligo is good place to establish as your base for holidays in Ireland. Most of Connacht and Ulster are just a few hours drive from anywhere in Sligo.